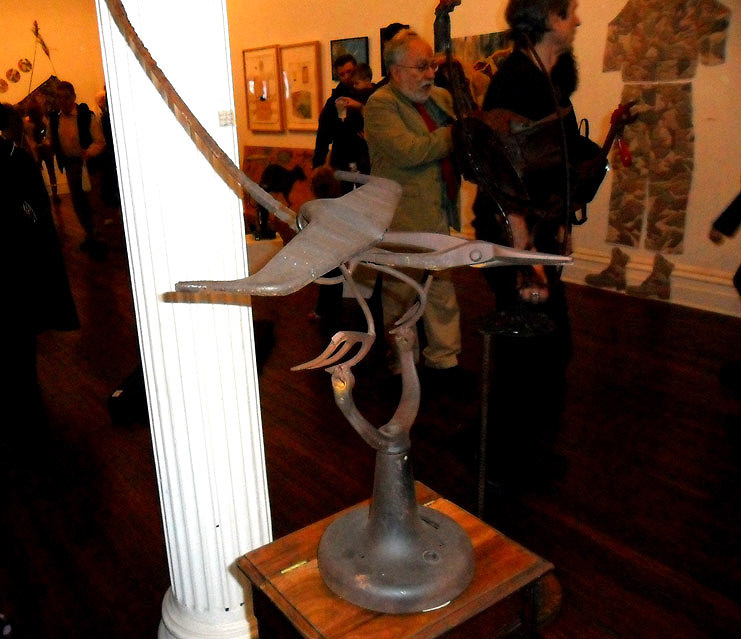 One of my fellow artists in the Art From Detritus exhibition, Peter Wilcox, took photos at the opening. He agreed to let me share his photos so that you may get a feel for the art that is present in the exhibit. I apologize that I do not have detailed information to go with the photo’s. Be sure to check back next week as Peter is gallery sitting this weekend and plans to take more. Thanks Peter!! 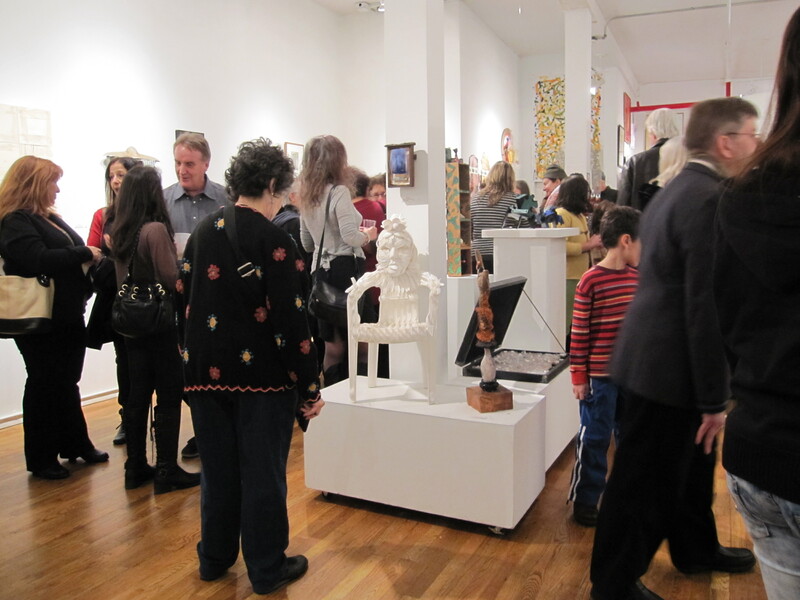 The Art From Detritus exhibition opened Saturday at the Williamsburgh Art and Historical Center in Brooklyn, NY. This is an exciting exhibit of art made from upcycled materials. Two of my pieces, Angst Unleashed and Waxwork 2, are a part of this exhibit and are shown below. It is a great show if you have the chance to stop by and check it out. 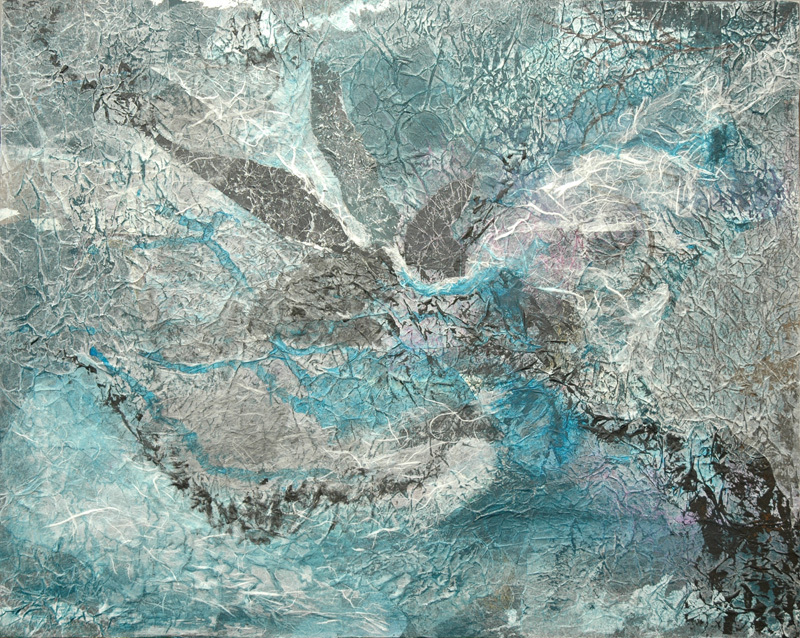 For full details click on my current exhibits page. A new Art From Detritus exhibit, curated by Vernita Nemec, is opening in Brooklyn, NY on Saturday, April 23rd. My pieces, Angst Unleashed and Waxwork 2 will part of this exhibition. I have attached excerpts from the press release below. These exhibits showcase art made from recycled materials. They are fascinating and worth checking out if you find the time or yourself in New York. Update: 4/27/11 Check out my home page to see photos of Art From Detritus. 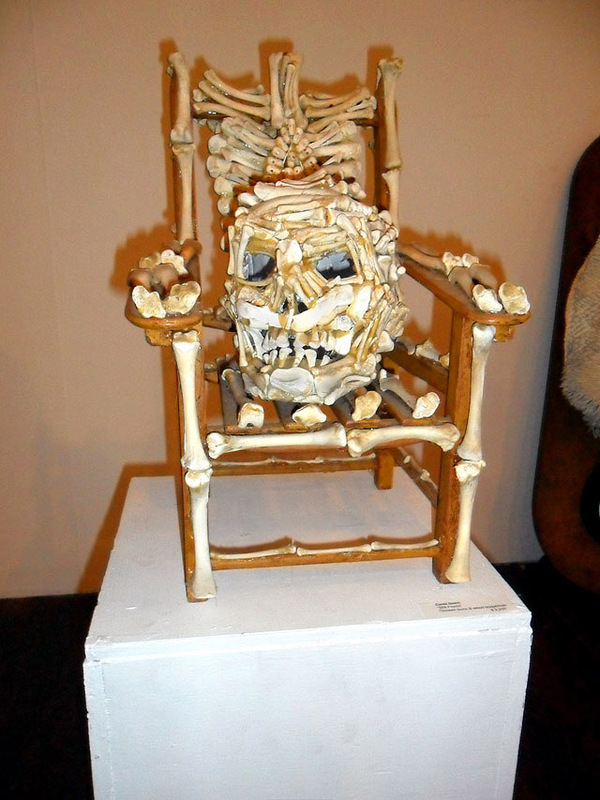 Willamsburgh Brooklyn- The Williamsburgh Art & Historical Center (WAH Center) is pleased to present the most exciting and creative solution to too much trash- “Art from Detritus: Upcycling with Imagination”- an exhibition of the art of nearly 60 artists who use trash to make their art and convey the message of the importance of recycling & “upcycling”. The exhibition extends from April 23 to May 29, 2011 with an opening reception & fashion show Saturday April 23rd 4-6PM at their historic location just over the Williamsburgh Bridge in Brooklyn at 135 Broadway. 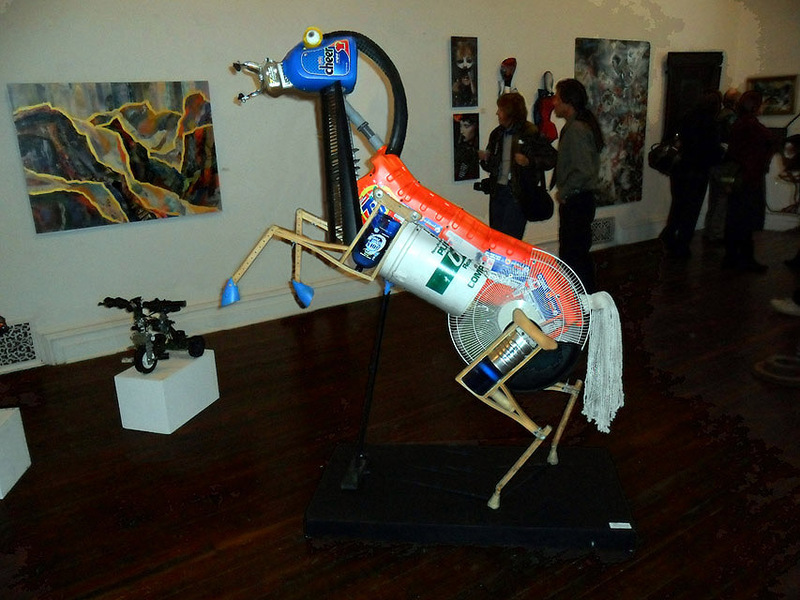 “Art From Detritus: Upcycling with Imagination” is a group exhibit of art made from recycled materials and trash. This exhibit serves to “continue the dialogue between art and the lives of ordinary people” because we all have too much trash. By focusing on recycling as the method and source for creating their art, these artists have made their artmaking serve as both a message and inspiration to the general public and businesses often intimidated by or not interested in fine art. The primary goal of this exhibit is to exhibit art that through its materials and techniques helps our environment. Art made from trash serves to continue awakening an awareness of the importance of recycling and demonstrates how recycling can be done creatively. 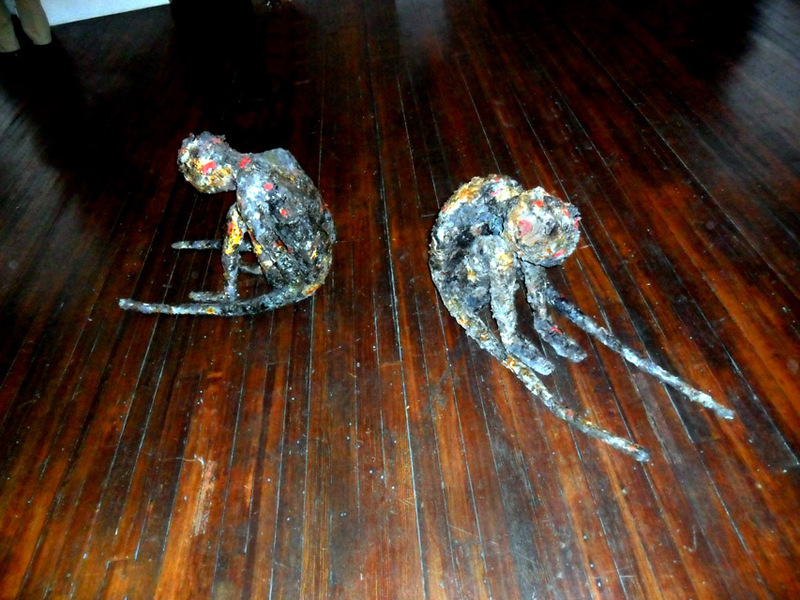 “Art from Detritus” continues the dialogue between art and the lives of ordinary people. This exhibit serves as a creative reminder that trash can be not only recycled, but also reused, to create beautiful and unique objects of art. All these artists see beauty in the discarded that fills and eventually serves to destroy our environment and realize this is a satisfying and rewarding way to creatively deal with the problem of too much trash. Since 1994, the changing group of artists in this exhibit has opened dialogues with viewers about the importance and usefulness of art as something beyond decoration. The current exhibit at the Williamsburgh Art and Historical Center is the 19th realization of the concept. This exhibition gives talented artists who are outside the mainstream and whose artwork does not fit the prevailing fashion, a much-needed opportunity to exhibit. By curatorial choice many of these artists are ”emerging” artists, and still unknown, who continue to make art in which they believe, despite fame & fortune, thus far, eluding them. These artists often cannot afford studio assistants or expensive materials and equipment for art making. All see beauty in the discarded that fills and eventually serves to destroy our environment and realize this is a satisfying and rewarding way to creatively deal with the problem of too much trash. 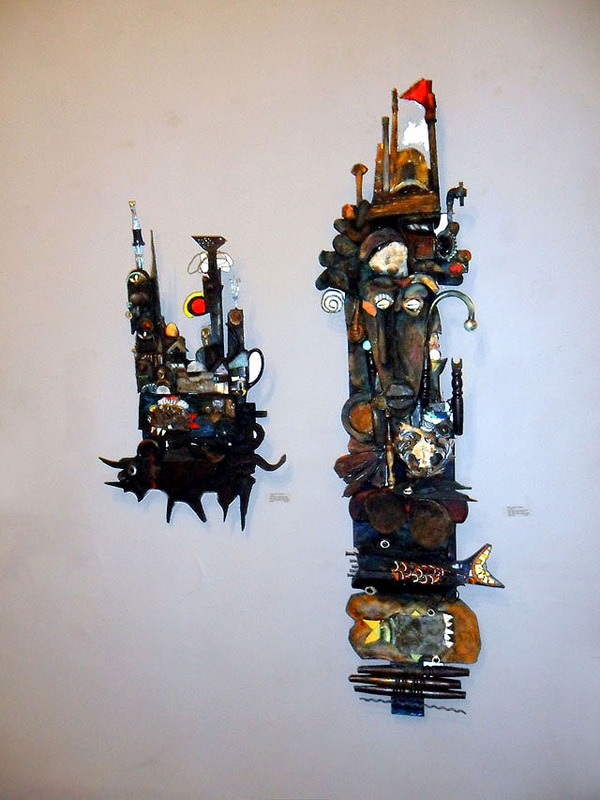 “Art from Detritus”, or art from waste, is an exhibition project that was conceived by Nemec, an artist as well as director of Viridian Artists Inc, in 1994 at a National Recycling Coalition convention. 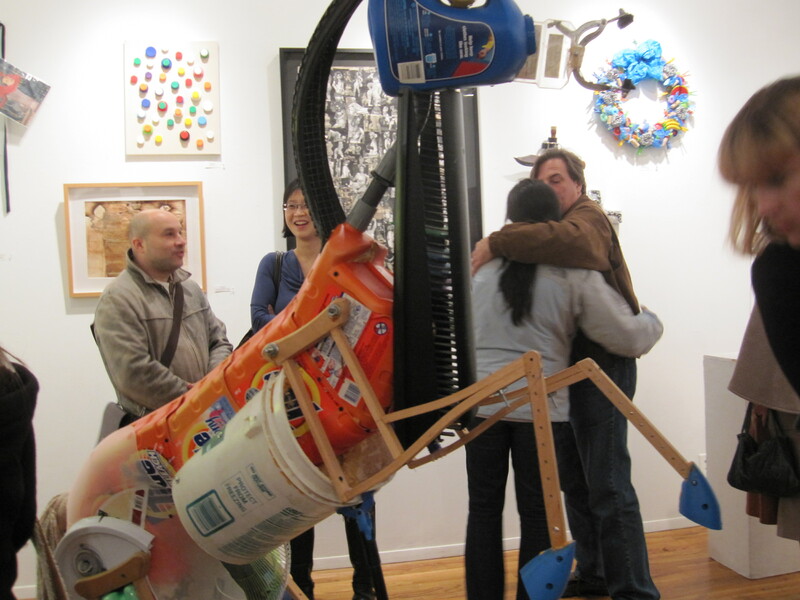 Besides demonstrating concern for our environment and creative use of trash, the exhibit also demonstrates ways to use our abundant trash as a solution for the artist unable to afford expensive materials & equipment with which to create. Many of the artists in these exhibits initially began to work with discarded materials because of their easy availability. That first exhibit happened in Portland Oregon in the lobby of the recycled Sears Roebuck building & corporate headquarters for municipal waste & recycling in Portland who sponsored the reception and donated the site, during the annual conference of the NRC. Since then, the exhibit has occurred every year throughout the US with funding from the Kauffman Foundation and the Puffin Foundation as well as sponsorship by the NRC. In Pittsburgh at five sites including Westinghouse headquarters, the Museum of Arts & Crafts and the , Kansas City MO at the Linda Hall Library of Science, Phoenix, Turners Falls MA and NYC have all been Detritus exhibition sites since and in NYC, detritus exhibits have occurred at galleries, colleges and non-profit spaces including the Henry Street Abrams Arts Center, Gallery 450, Viridian Artists Inc, Synagogue for the Arts, John Jay College of Criminal Justice, Farleigh Dickinson University and others. Vernita Nemec, a.k.a. Vernita N’Cognita, is known in New York City art circles as a visual & performance artist (“The Endless Junkmail Scroll” and “Dress” (of catfood can lids) performed at Dance Theater Workshop (DTW), curator (The Art from Detritus exhibits happening nearly annually since 1994), gallery director (Viridian Artists, NYC) & arts administrator (former Executive Director of Artists Talk on Art & Soho20 Board of Directors). This exhibit reaches beyond the art world, serving as a message not only about art but also about recycling for the good of the environment. People who have seen past Detritus exhibits are impressed with both the art and its message but more people must know about it. Help us spread the word! 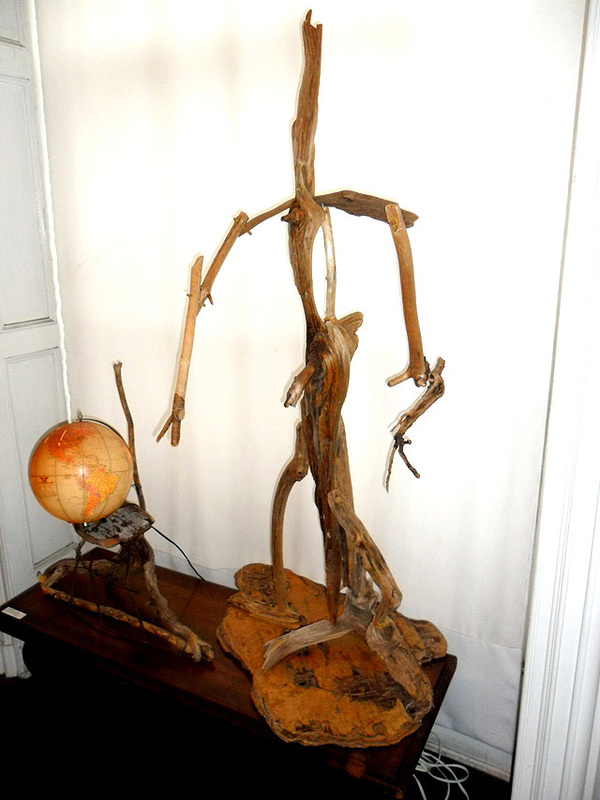 For more information or images, please contact the curator, Vernita Nemec, at ncognita@earthfire.org or 212 925 4419. 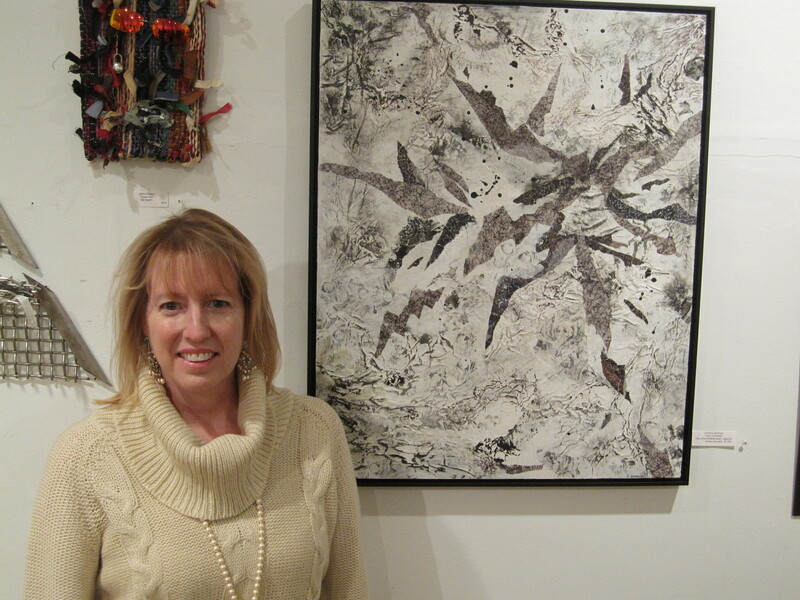 Vernita Nemec put together a wonderful and creative show for Art From Detritus. The work was interesting, sometimes whimsical, and always imaginative. I met so many lovely people at the opening and it was well attended. At times it was so crowded that it was challenging to move around and see the art. I have attached a few pictures below. Enjoy! Crowd shot with a chair sculpture made entirely from plastic cutlery. 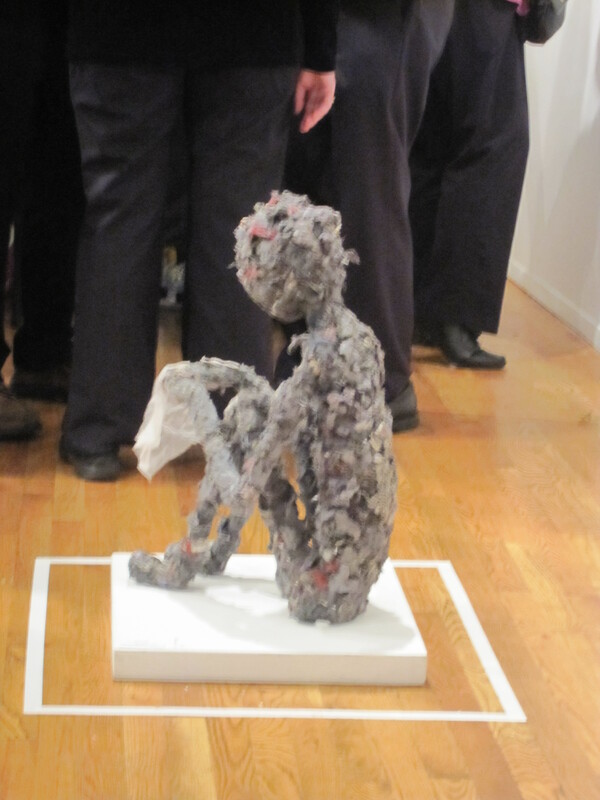 A sculpture I loved made from dryer lint and a dryer sheet!